The U.K., Germany, France, Russia and China have agreed to establish a special payments system to circumvent U.S. sanctions on Iran stemming from President Trump's unilateral withdrawal from the 2015 nuclear deal, the Financial Times reports. The big picture: The payments channel would be an alternative to SWIFT, the backbone of the global financial system that allows Iran to get paid for oil, pay for its imports and finance its activities abroad. 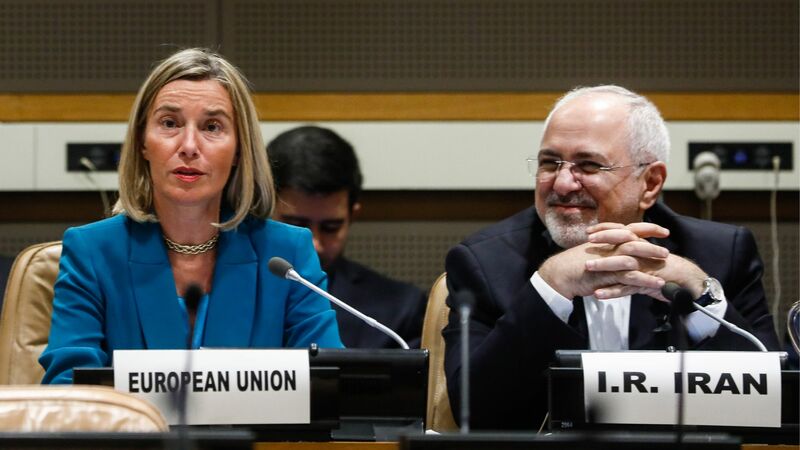 The five countries involved in the agreement remain committed to doing business with Iran, which the International Atomic Energy Agency says is still complying with the terms of the nuclear deal. President Trump, meanwhile, has threatened that anyone doing business with Iran will not be able to do business with the U.S.